Both Democrats, Ilhan Omar won a House seat in Minneapolis, Minnesota, while Rashida Tlaib ran unopposed in a congressional district from Detroit to Dearborn, Michigan. 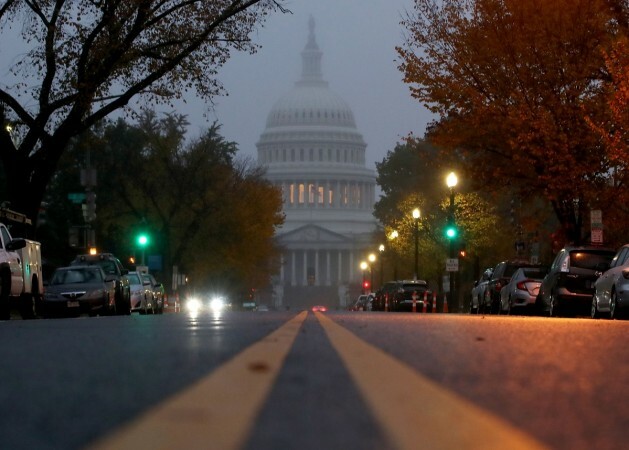 The mid-term election of 2018 has garnered a lot of attention for various reasons. It is being called the Trump referendum even though he is not on the ballot, and is also witnessing quite a few firsts — first openly gay governor, and the first time a 29-year-old woman has been elected to the Congress. In addition, this is also the first time that the Congress will have two Muslim women members. Somali refugee Ilhan Omar and daughter of Palestinian immigrants Rashida Tlaib will now be a part of the US Congress. Both Democrats, Omar won a House seat in Minneapolis, Minnesota, while Tlaib ran unopposed in a congressional district from Detroit to Dearborn, Michigan. In fact, Omar is succeeding Keith Ellison who himself was the first Muslim to be elected to Congress. 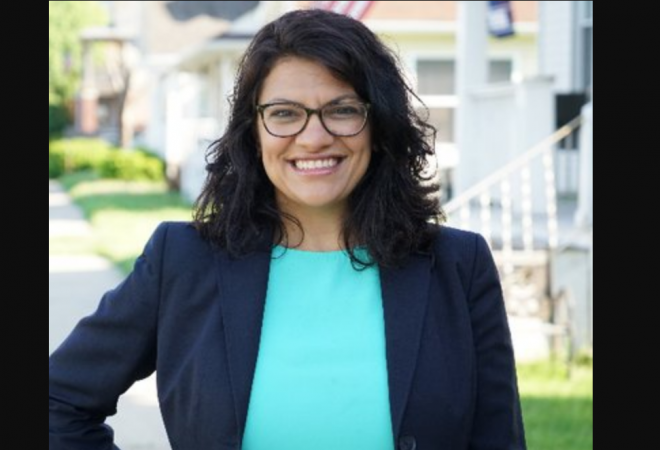 Former Michigan state representative Rashida Tlaib is one of the first women to be elected to the Congress, along with Omar. She won the Democratic primary for a US House seat on August 7, after narrowly defeating Brenda Jones, Detroit's City council president. She ran unopposed in the mid-terms succeeding longtime representative John Conyers, who stepped down in December citing health issues. After the results were called in her favour in August, Tlaib spoke to her supporters and said that one doesn't need to change who they are to contest an election. "I want people across the country to know that you don't need to sell out," the New York Times quoted her as saying. "You don't have to change who you are to run for office – and that is what this country is about." Born on July 24, 1976, Rashida Harbi Tlaib is the eldest of 14 children. Her parents are known to be Palestinian immigrants in Detroit, Michigan. She began her political career in 2004 with an internship to state representative Steve Tobocman, who then encouraged her to run for the seat he was vacating. Tlaib is also the first Muslim woman to serve in the Michigan Legislature and the second Muslim woman to be elected to any state legislature in the US. After leaving the state legislature, she worked at Sugar Law Center, a Detroit non-profit that provides free legal representation for workers. She has been married to Fayez Tlaib since 1998 and is a mother to two sons – Adam and Yousif. In addition to being one of the first Muslim women in Congress, Omar is also the first Somali-American member. A refugee, she came to the US about 20 years ago. Born in 1981 in Mogadishu, she was raised in Baydhabo, Somalia. She is the youngest of seven siblings and fled Somalia's civil war. She lived with her family at a refugee camp in Kenya and in 1995, Omar and her family emigrated to the US, settling in Arlington, Virginia. They later moved to Minnesota in 1997. 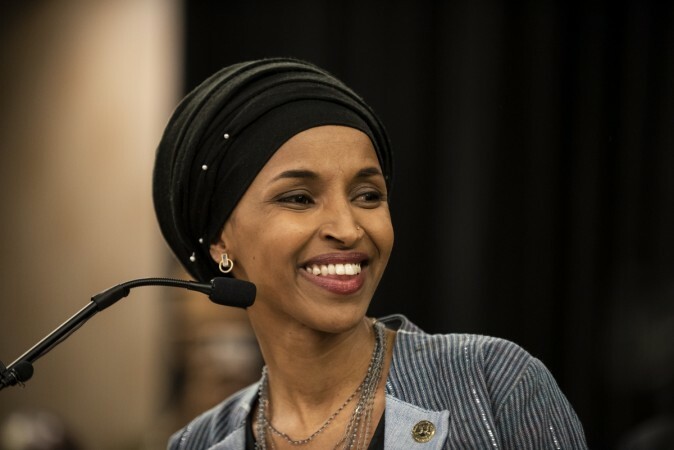 She became the first Somali-american lawmaker in the country after winning a seat in the state's legislature in 2016. "I'm Muslim and black," Omar, who wears a hijab, recently said, according to Agence France-Presse. "I decided to run because I was one of many people I knew who really wanted to demonstrate what representative democracies are supposed to be." She had earlier garnered the support of New York Democrat Alexandria Ocasio-Cortez and has been a vocal critic of Trump's immigration policies and also supports the call to abolish US Immigration and Customs Enforcement (ICE).